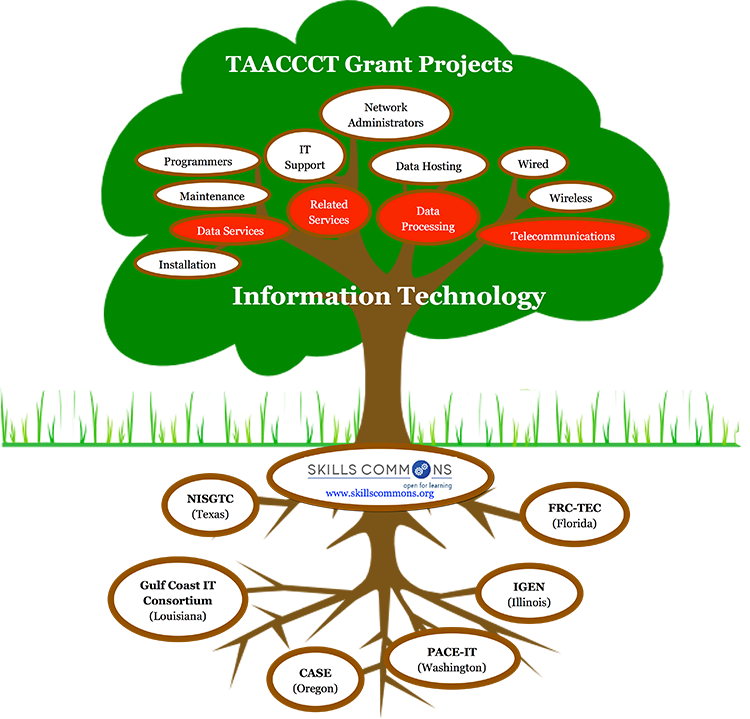 There are many grant projects in the Information Technology Industry contributing to the SkillsCommons Repository. You can browse by Industry by following the instructions provided below. In the right hand column of this page you will find a list of grant projects that are currently contributing to SkillsCommons in this industry. 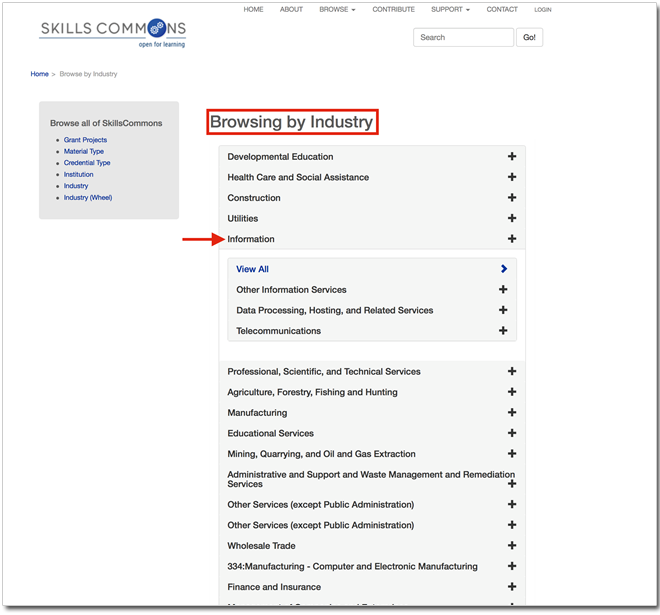 To browse and find materials in the Information Technology Industry click on the “Browse” menu at the top of the page and select the “Industry” dropdown menu item. Using the accordion feature on the right side of the page you can expand and contract the various industry titles. Here we have highlighted the Information Technology Industry example. The graphic below highlights a few grant projects and how their contributions fall within the Information Technology Industry sector.